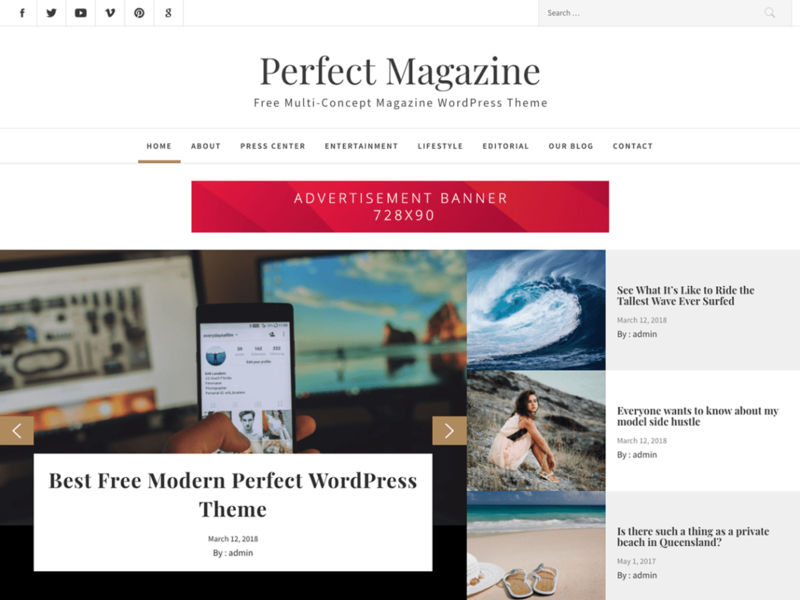 Perfect Magazine, A powerful and stylish WordPress magazine theme suitable for news, newspaper, magazine, sports, technology, food, travel, blogs, publishing, business and any kind of sites. Perfect Magazine is designed with the “mobile first” approach, meaning it is designed for mobile from the beginning and was adapted for bigger screen afterward. This result in a beautiful experience for the users, on all devices.